We all know I’ll tell anyone who will listen how much I adore fall. And we are getting to the really good parts of the season right now. The leaves are just starting to change, there’s a chill in the air, and this girl is all kinds of happy. To celebrate my favorite season, let me introduce you to fall in a cake. This beauty has all kinds of good fall-like things going on, from apples to a whole slew of fall spices. That frosting doesn’t hurt, either. I used a combination of some of my favorite spices for flavoring the cake. If you have a different ratio or blend that you like to use, then go right ahead and switch it up a bit to suit your tastes. I freely admit that frosting cakes is not one of my best skills. I also tend to like a lower frosting to cake ratio than some people. Those two facts combined mean that I tend to do really simple frostings on cakes. If you’d prefer to frost the entire cake, just increase the frosting ingredients by 50%, and you should have plenty of frosting to cover the entire cake. This Apple Spice Cake is an incredibly moist and delicious cake. And those flavors are just exactly what I crave this time of year. It’s just the thing for serving at your fall celebrations! Fall is the perfect baking season! Find more of Bake or Break’s favorite fall recipes by clicking here. 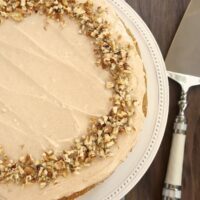 Apple Spice Cake with Cinnamon Cream Cheese Frosting is a delicious celebration of all things fall with lots of apples and fall spices. Preheat oven to 350°F. Butter two 9-inch round cake pans. Line the bottoms of the pans with parchment paper. Butter the paper. Whisk together the flour, baking powder, cinnamon, salt, nutmeg, and allspice. Set aside. Using an electric mixer on medium speed, beat the butter, brown sugar, and sugar until light and fluffy. Add the flour in 3 portions, alternating with 2 portions of milk. Mix just until combined. Stir in the apples. Divide the batter between the prepared pans and smooth evenly. Cool the cakes in the pans for 15 minutes. Then, flip the cakes onto wire racks, remove the parchment paper, and allow to cool. Place the cream cheese and butter in a large bowl. Using an electric mixer on medium speed, beat until combined and smooth. Gradually add the confectioners’ sugar, mixing until smooth. Add the cinnamon and vanilla, and mix well. Place one cake layer on a cake plate. Spread half of the frosting over the top of the cake. Place the other cake layer on top of the frosted cake layer. Spread the remainder of the frosting on top of the cake. If desired, garnish the top of cake with chopped toasted nuts. *Make sure your cream cheese is very soft to avoid lumps. This recipe was originally developed in collaboration with Go Bold with Butter, where I am a paid contributor. 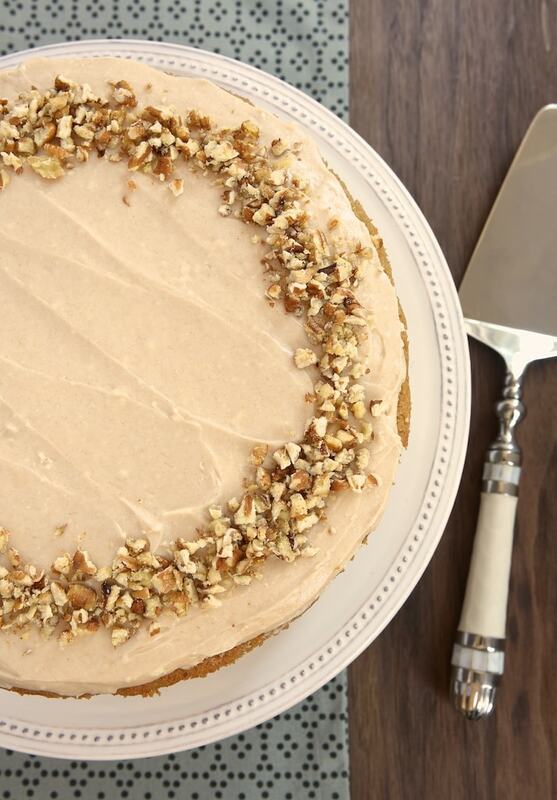 Cinnamon cream cheese frosting sounds delicious! Love the top view of the cake with the walnuts. oh. yeah. that thick layer of frosting is everything to me, and the cake doesn’t sound too shabby either! I love the ingredients in this cake. It looks wonderful for fall baking. Last year I made a chocolate pumpkin cupcake with cinnamon frosting. 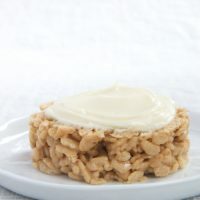 I happen to adore cream cheese frosting so I know I will have to try this too! I like the way you decorated the cake with a ring of chopped nuts too. What kind of apples did you use for this cake? Rachel, I used Gala apples. I also like to bake with Pink Lady apples. 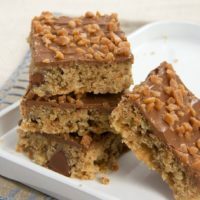 This recipe is fabulous and the pictures are fantastic as well! Looks super yummy! Can this made in a 9 x 13 pan? Marge, that should work as a 9″x 13″ pan has about the same volume as two 9″ round pans. I’d keep the amount of frosting the same since you’ll have about the same area to cover. Do you think it would be overkill / gilding the lily to make an apple filling to put between the layers? If you’re a big apple fan, then it should be delicious! It looks sooo tempting! Going to bake this weekend. Thanks for sharing great recipes here. I hope you like the cake, Jane! It became an instant favorite for me. This looks delicious. I love apples and cinnamon. I was thinking of trying this and topping it with baked apple roses around the edges for Thanksgiving. What kind of apples did you use ? Does it matter what type ? You’ll want to use apples that will hold up well during baking. Some of my favorites are Gala, Fuji, and Pink Lady. I make this and it was awesome ! Glad I found it. So glad you liked it, Vicki! I’m assuming the apples should be peeled? That’s up to you. I generally don’t peel mine, but that’s just my preference. Made the cake, not bad but a little on the heavy side. OMG this sounds so amazing!! Love apple cake! Made this yesterday….it was soooooo good!!!!! I used Granny Smith apples….took it to a party and everyone loved it!!!! I made this cake as one of the cakes for my daughter’s wedding. I made the cake a month ahead of time and froze it, then made the frosting the day before. There were 14 different cakes there, and my other daughter commented that this was her favorite. That’s awesome, Robin! That’s a lot of cake baking!!! How did you freeze/defrost the cake? I wouldn’t freeze the frosted cake, but you could freeze the cake layers. Just wrap them really well and then defrost in the refrigerator overnight. Once thawed, assemble and frost. I freeze my cakes and cupcakes already iced and they taste and look exactly the same if not better! The cake is so moist and I use buttercream and have also used cream cheese icing and never ever had a problem! Just chill in fridge for a few minutes to harden icing a bit and then place in plastic container. Wrap container well in Saran Wrap or in a large bag and seal. I have made 4-6 weeks in advance! I just take out and place on serving plate about a couple of hours in advance. Hi, this looks amazing! 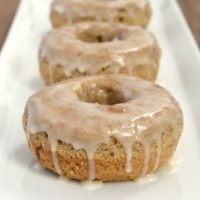 I am wondering how to cut the sugar in the recipe, or to use an alternate like maple syrup, and/or perhaps a sweeter apple. It’s for my son’s first birthday, and I’d like to use much less sugar for him. Thanks! Hi, Christine. Cutting down the sugar will also affect the texture, so it’s best to use something in its place if you want to reduce it. I don’t have much experience with sugar substitutes, but I know many people use them following the manufacturer’s guidelines. Maple syrup would likely be good, too, but I wouldn’t replace the entire amount with that because the flavor would probably be too much. I’ve not tried it, but I might suggest unsweetened applesauce as a substitute for some of the sugar. You can usually substitute 1:1, but you may not need to add all of the milk to the batter. Can this cake be made in a bundt pan? Hi, Judy. I’ve not tried making this cake as a Bundt. As a general rule, you can convert most cake recipes to a Bundt cake. Just keep in mind that the baking time will be considerably longer. 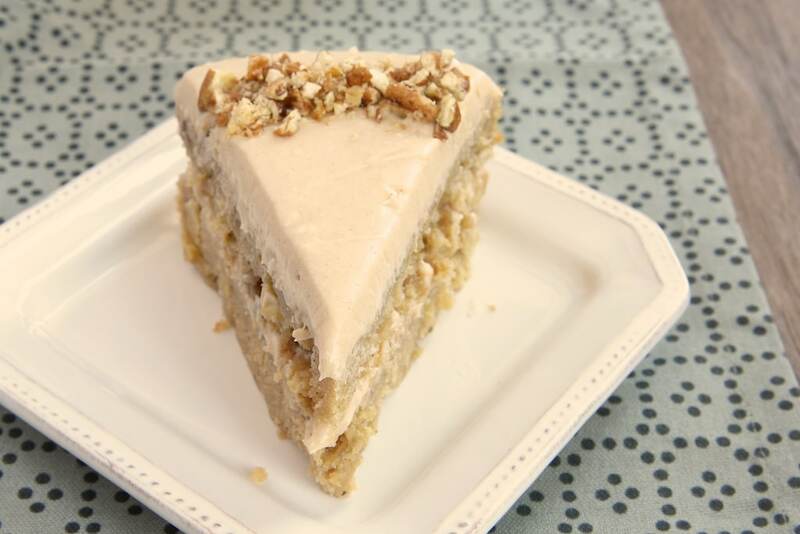 As an alternative, take a look at this recipe: Apple Spice Cake. Hello! About to attempt your recipe! Fingers crossed! Just wondering when you mention chopped apples – how small/large do you recommend? Thanks! Hi, Anthony. For stirring into a batter, I usually aim for bite-size pieces. Why do people make comments like, “oh it looks so delicious,” instead of baking it and saying it WAS delicious. How about some real reviews. It is the same stupid useless comments, sorry. I’m always looking for ACTUAL reviews too! I made this cake and it was good. It was a little dense but very moist. I am going to make it again for Thanksgiving and the only thing I’ll change are the apples. I am going to mix them with some cinnamon before I add to the cake batter. Jennifer what is your most favorite pie ? Oh, it’s hard to pick just one! 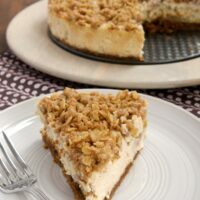 I’ll have to list at least just a few… Brown Butter Pecan Pie, Apple Cranberry Crumb Pie, and Macaroon Tart are way up on my list of favorites. OMG I made this cake and it was AMAZING!!! Sooooo moist and the icing was fluffy and delicious! I used honey crisp apples because they are my favorites! My family said it was the best desert I’ve ever made!! Thank you so much for sharing P.S. Make sure you always bake on the bottom rack of your oven! I’m so glad you liked the cake, Tarrah! I made this the the other night and it was great! The only thing is the next night it dried out a little. I wonder if by adding a little applesauce it would help for next time. Has this happened to you? Hi, Allison. I’ve not had issues with this cake being dry. Make sure you’re measuring the flour accurately and store the finished cake in an airtight container. I’m sure some applesauce in the batter would be fine. I’ve not tried that, so I can’t give you an exact measurement. Maybe 1/4 cup? If it’s sweetened applesauce, I’d reduce the sugar by that much as well. If I do not want the apples in the cake, is there any adjustment you would suggest, such as less flour due to less moisture without the apples? Hi, Karen. Leaving out the apples will definitely affect the final result. You could try reducing the flour, but without that volume and the volume of the apples, you’re going to have thin cake layers. I might suggest another recipe, like Butterscotch Spice Poke Cake, with or without the butterscotch component. The frosting for this apple cake will work with that cake as well. It can be made as a one-layer cake or as two layers, if you prefer. You might also consider Chai Spice Bundt Cake. You can alter the spice blend however you like for that. Hi Jennifer, My son requested a cinnamon spice cake with cinnamon frosting for his birthday this year (instead of his usual chocolate cake chocolate frosting over the years). In over 40 years of baking I have never made one so didn’t have a recipe. I was glad to find yours. I ended up adding 1/3 cup of applesauce and adding 1 Fuji apple finely chopped. I doubled the spice. I baked it about the same amount of time the recipe indicated. Used a toothpick to be sure. It was delicious; not dry and still had some volume. Yes, the cake layers were a little shorter but still fine. We love lots of spice so I would add even more next time. We also love lots of frosting so I made 2x recipe. Had some left over. I would make this again. It was very good. Thank you for posting it. As previously mentioned by others, this is a very dense cake with tons of fall flavor. I chose to put mine in a 9×13 cake pan rather than stacked (as shown). The flavor of the cake as well as the frosting was exceptional although I did make a few minor adjustments by simply adding additional spices to the cake and doubled the cinnamon in the frosting. If you intend to stack this cake, you will want to double the frosting as it was just barely enough for the sheet cake version. Hi Jennifer. I going to try your recipe to test for a wedding cake in October. I’d like to use fresh apples but want to avoid large pieces. Would the batter be adversely affected if I finely chopped or puréed the apple? Hi, Paula. Finely chopped should be fine. I made this cake last night, it was so delicious!!! Even better the day after! My family loved it. Thank you for sharing! I’m glad you liked it, Charlene! This recipe looks delicious. One question though, do you think it would roll well for a jelly roll style cake? Hi, Holly. I’ve not tried that, but I think the cake may be too delicate for that. Made great cupcakes, shared them with friends, they loved them, I used maple cream frosting. Made around 22. Just made this cake and it is delicious. So moist and yummy! I did make a few adjustments. I seperated the eggs and beat the egg whites first to make it lighter and fluffier. I would add more apples than suggested and for the frosting I added lemon zest and a touch of milk so it was not so thick. The lemon zest made the frosting! Thanks for the recipe! Any suggestions on how to make this vegan?!?! Hi, Meredith. I don’t have any experience with vegan baking, so I’m afraid I can’t help. This is a great cake and I use coconut sugar with a little pure raw honey to cut out regular sugar intake. I do this for a healthier version of this recipe as granulated sugar can cause many health problems later on in life. Norm here in Massachusetts. Making this for thanksgiving! Going to make candied pecans for the topping. Can I use a coconut almond milk instead of regular milk? Hi, Lauren. I’ve never tried substituting almond milk in this cake, so I can’t speak from experience. I would guess that it might work, although it would most certainly affect the texture and flavor. If you have a brand you like, I’d suggest using the manufacturer’s recommendations for substitution. can we frost and refrigerate if we plan to serve the next day? Yes! You can let it come to room temperature before serving. I just made this cake and frosting and it was DELICIOUS. I used pretty big apples so the cake was super moist and I thought perfectly spiced. When I was making the frosting I accidentally put in 2 sticks of butter and didn’t have any more cream cheese so I added another half of all the remaining things. It still turned out delicious and I had enough frosting to frost the whole thing. I’m so glad you enjoyed the cake, Stephanie! I made this cake today in a 9×13 pan. I followed the recipe exactly with two apples finely chopped. When it was done, the cake was level with the sides of the pan, and the center slightly above. After a few hours of cooling, it had dropped to about 1/2 the height of the pan. It seems very moist, but I had expected it to remain a more normal height, similar to a carrot cake recipe that I always bake in the same sized pan. Any thoughts as to why it reduced so much? Hi, Clyde. There are many things that can make a cake fall. Inaccurate oven temperature, old baking powder, overmixing, even humidity can cause problems. I made this cake and followed the recipe exactly as written. Absolutely beautiful with just the right amount of spice. We stored the cake in the fridge and ate it over four days and it stayed lovely and fresh. I actually think the flavours got even better after day one! Thanks for a great recipe, I’ll definitely be making this again. Don’t shoot me, but do you think this would work using a spice cake mix? I’m not really good with making cakes from scratch. I would be fine with adding more spices and whatever. Hi, Connie. If you like to bake with cake mixes, then go for it! I haven’t used one for this recipe, but I think if you’re just adding apples to it then it may be just fine. Spices vary with different mixes, so just use your best judgment for adding more. Don’t forget that there’s cinnamon in the frosting, too. I know every oven is different, but I checked my cakes at 20 minutes and they were already a bit overdone even though the cooking time was supposed to be 25-30 min! Consider this a warning to check your cakes early! It sounds like your oven might be too hot. I’d recommend getting an oven thermometer to check its accuracy. My cake batter was so thick I couldn’t split it into two different pans. It would barely spread I basically had to use my hands to try and smooth it down. I measured perfectly but I ended up using one round pan because it didn’t seem enough to even be able to separate it in to 2. Does anyone else have that issue? I was scared to add more milk in case I messed it up so I just left it this way. It’s baking now. I don’t know the final product just yet but the batter tasted so delicious! Hi, Crystal. I’m sorry you had troubles! It sounds like you might have had too much flour. Take a look at my tips on measuring flour to make sure you’re not overdoing it. Hi! 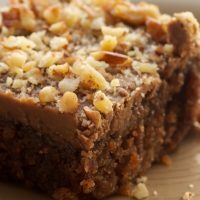 I know you posted the recipe for Apple Spice Cake a few years ago, but I just discovered it! I made it for my birthday buddy at work and everyone enjoyed it! Thanks! I’m glad it was a hit, Jane! Thanks so much for sharing your recipe. I made the cake to take to a party and it was a big hit! Since my guy is not big on cream cheese frosting, I made a caramel frosting instead and it was super with the Apple Spice Cake. Yummy!! That caramel frosting sounds like a great alternative! I made this cake exactly as per the recipe, but adjusted the frosting. I used green Granny Smith Apples, peeled. It was delicious. My only comment is that the cake was very dense, and didn’t rise much. I made 50% more frosting as you suggested, and it was plenty. The frosting is very light and fluffy. I had to add at least 1/2 C more powdered sugar for the frosting to be stiff enough. I have to say the whole family loved it, from my 5 year old grandson to my 97 year old mother! I’m glad it was a hit, Virginia! I made this cake for my husband’s birthday, it is very good! It is dense, and the frosting is AMAZING. He was veryyyy happy. He loves apple pie, so I took a chance on this cake. Finely dicing the apples is tedious though, but I did not notice any obtrusive apple bits, so I guess it is necessary. 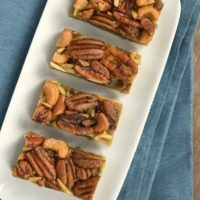 I did not add nuts on top, and replaced all vanilla called for with equal parts maple syrup – because i am allergic to vanilla, and that’s the best alternative I’ve found, I can’t tell much of a difference. We enjoyed it very much. I would say the cake is more plain tasting while the frosting really brings it together sweetness wise. Can you shred the apples and get the same end result? Hi, Sheryl. I’m sure you’d get a similar result. I’ve made this cake twice now, both times with canned apples. They keep the cake so moist! And I’ve made a caramel butter cream icing for one and a normal vanilla icing for another. Both were hits! That’s great to hear, Kim! I bet that caramel buttercream is amazing!